THERE will be a change in television frequencies in much of southern Tasmania next week. Suburbs affected by the change in transmission from the Mt Wellington tower include Hobart, Sorell, Richmond, Brighton, Bridgewater, New Norfolk, Kingston, Lauderdale and Derwent Park. These move is are part of a national retune program that will free up broadcasting spectrum for new services such as mobile broadband. 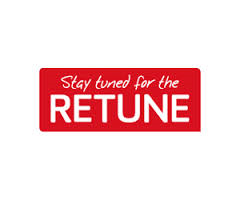 For Hobart and surrounding areas, the retune will occur after 5am on October 30. Some viewers in the New Norfolk area may also have retuned earlier this year if they receive their signals from the Shepherds Hill tower. Viewers in New Norfolk may experience interruptions to ABC and SBS between midnight and 5am on October 30 due to work being conducted on the local distribution network, specifically at Hobart, in preparation for the retune of television services. After the channels have changed, viewers will need to retune their digital TV, set-top box or digital TV recorder to find the channels that have moved. Retuning can done using the remote control. For most systems press the "menu" button on the remote. Look for settings such as "channels" or "auto-tuning" and follow the prompts to retune. A video and three-step guide to retuning is available online. There may be temporary disruptions to all TV services on the retune day and the following day due to work being conducted at the transmission site. For more information about the retune, scheduled outages, or to sign up for an SMS or email reminder, visit the retune website or call the Digital Ready Information Line on 1800 201 013, 8am to 10pm, seven days a week.